The overall on-the-ground threat of ISIS has been receding over the past several months. Major coalition victories have routed ISIS forces in most of their strongholds in Iraq and Syria. While there are swaths of area still plagued by roaming ISIS militants, there is no doubt that the Jihadist group has been largely losing their territorial grip. There seems to be at least one exception to this phenomenon. Since this past Spring the area of land held by ISIS affiliates in southern Syria, along Israel’s northern border in the Golan Heights, has been growing at a disturbingly fast rate. The ISIS presence in southern Syria is not an altogether new phenomenon. Militants have been establishing themselves in the area since at least mid-2016. Israeli Defense Forces (IDF) first encountered ISIS in November of that year, when an elite reconnaissance battalion came under small arms fire from militants while on patrol. The attackers were identified and neutralized by an armored contingent stationed nearby. Since that incident, IDF forces have clashed with ISIS on at least 19 additional occasions according to the same source. The increase in attacks by ISIS fighters directly parallels the expansion of ISIS’s territory on the Golan. According to Israeli researchers, ISIS began to solidify its hold on a swath of territory in southern Syria around March of 2016. Initially, this area was about 50 square miles and included about a dozen villages. In February 2017, ISIS began a thrust to expand its holdings, beginning with the takeover of the village of Tasil, about six miles from Israel’s border. Today the area under ISIS’s control has more than doubled in size. In fact, the defeat of ISIS in the main conflict zones in Iraq and western Syria have served to directly strengthen the presence of the Jihadist group along Israel’s border. Fleeing militants have sought refuge in their enclave of control in the south and set up shop. Israeli media reported that in the past few months, ISIS had established a training camp with hundreds of local youths in attendance, as well as a “propaganda center” to create content for dissemination on social media and other internet forums. These operations are essentially a supplanting of those that were being undertaken in the Islamic State’s former capital of Raqqa before the group’s defeat in the city. Among the high profile ISIS members known to have fled to this area is the notorious Abu Hamam Jazrawi, the terrorist leader who had served for years in Al-Qaida’s ranks before joining the Islamic State, eventually becoming the head of the group’s Sahel province in North Africa. In other words, the border region between Israel and Syria has become ISIS’s new center of operations in the Levant. 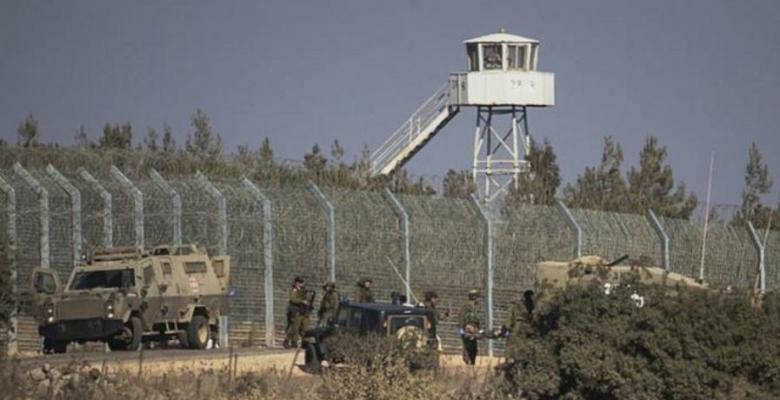 The build-up of the Islamic State on the Golan has forced Israel to place extra focus on its Syrian strategy. Measures have included the IDF’s establishment of the elite Oz Brigade, a conglomerate of special ops units, widely believed to be a direct response to the ISIS threat. Air strikes attributed to Israel on ISIS targets have continued through the recent period. There is no certain conclusion what the ISIS build up in southern Syria may result in. Even if Israel refrains from taking large-scale independent action, eventually such a substantial militant presence will attract the attention of coalition forces. What Israel's participation may look like in any ensuing conflict in the area, or role in triggering it, is yet to be seen. Samuel Siskind writes about cybersecurity, the Middle East and other world news for TrigTent.